The East Riverside Oltorf Area of Austin is in the midst of a transformation. Old apartments have been bulldozed to make way for new taller apartments, lots of new retail, and more. East Riverside Oltorf is south of Lady Bird Lake, east of I-35, west of Grove Boulevard, and north of Ben White/Highway 71. It was a popular student area for years. However, now it is attracting young professionals because of its proximity to downtown. East Riverside has seen a ton of new dining options in the Amli Southshore development. Mod Pizza allows you to pick your own unlimited amount of toppings for your pizza before it’s sent to be cooked in a pizza oven. You can also choose salad for a healthier option. To quench your thirst, there’s draft beer and wine. Pho Please serves delicious Vietnamese Pho, Bun, and Bahn Mi’s in a vibrant, modern setting. Fast and well-priced, Pho Please will make your tummy happy. This is a popular live music venue that wears its punk ethos on its sleeve. Formerly on Red River, its new location on East Riverside has a high end lighting and sound system. This East Riverside location of the popular downtown bar has draft cocktails and a large beer and wine menu. They also have a gorgeous outside patio that abuts a creek. Dogs are welcome on the patio. If it’s food you’re after, they have burgers, sandwiches, wings and snacks. #NoFilter needed for this little gem! 😍🌅🚣🌇❤ . We hope everyone is having an amazing week so far! . 📷 cred: @sarah_marley_ . . . .
Get a workout on Lady Bird Lake with a paddleboard rental from the East Riverside business. You can also rent kayaks and canoes if you prefer to be firmly sitting in a boat when on the water. 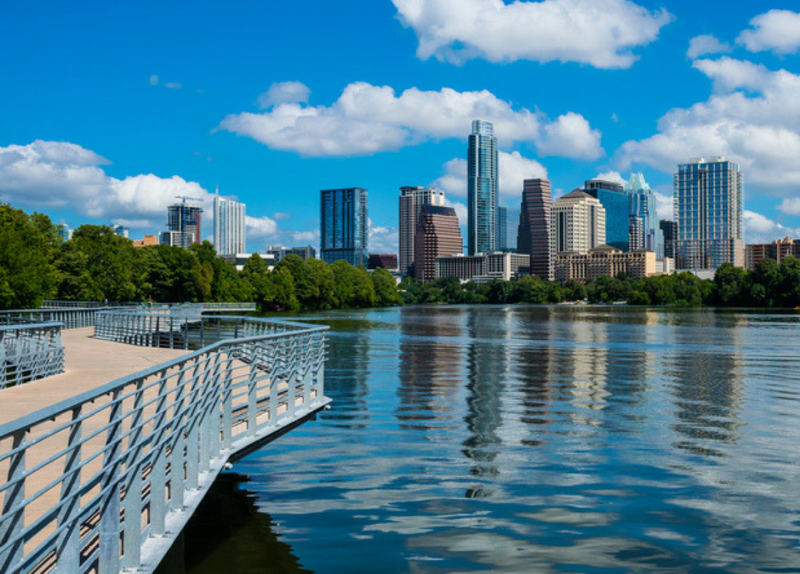 A walk, bike, or run around Lady Bird Lake on the Boardwalk won’t cost you a dime! Get those steps in and enjoy a leisurely stroll around one of the best parts of East Riverside. Ready to make the move to East Riverside and be close to it all? Our apartment locator services make it easy peasy! YES! Book me an appointment to find East Riverside apartments!